Woke up. Got outta bed. Dragged a comb across my head... You know, most people’s first day in their new job involves meeting Tracy on reception, after which you are introduced to the CEO who is rudely awoken from his afternoon snooze, learning the etiquette of the stationery cupboard, a quick tête-à-tête with the photo-copier, shown to your desk where you deliberate over exactly where to position the family photo, calling the IT department to ask why your computer refuses to co-operate and why the telephone is allergic to outside calls, an interminable hour-long gossip with “nosy Maureen” dishing out with salacious and unnecessarily biological detail about who is bedding who, by which time it is time to go home. None of this applied to my first day at Vinous. There was no easing into the job and frankly I would not want it this way. Pinch punch first of the month, 1st February and it’s straight into London for the annual ten-year on Bordeaux tasting at merchants BI Wines & Spirits, then a mad dash across the capital to Heathrow and jump on a 747 to New York, whereupon I throw my luggage into a yellow cab that whisks me directly to a thronging Manhattan pizzeria to meet my new team whose names are instantly forgotten in a fug of jet-lagged lethargy and let’s just say that after my first day I will have no idea where the stationery cupboard is located.... But I do have a good idea how the Bordeaux 2008s are developing and so, as I forewarned AG, let’s turn it round pronto so that readers get an idea how things are going to roll. As I have done since the 1997s I tasted the 2008s from barrel during en primeur and since conducted two or three comprehensive horizontals to monitor their evolution. Coming off the back of the middling 2007 campaign the 2008s came as some relief. It was not destined to elicit the same frothing eulogies like 2009 and 2010 however, perusing my conversations with winemakers at the time, they were cautiously upbeat. Whilst tasting from barrel, Frédéric Engerer at Château Latour pointed at that the climactic conditions were the same as 1961 until mid-August, comparing them to 1996 albeit with a different balance or a fleshier version of 2004. The key to the 2008 vintage was the long hang-time between flowering and harvest. Everything key stage of the growing cycle seemed to take its time. Flowering in late May/early June had been uneven due to the interruption of rain, especially on the Right Bank. Localized hail at the end of May saw Palmer losing 60% of its crop and retarding the vegetative cycle for a fortnight. There followed an extended period of relatively cool but sunny weather. August was damp inasmuch that 17 of the 31 days that month saw some precipitation even if temperatures were only slightly lower than average. This period of rain extended into the first half of September so that many winemakers were beginning to lose hope of a decent vintage. Luckily, from 13 September there began what a clement spell of warm dry weather so that growers were able to exploit this Godsend of a late Indian summer. 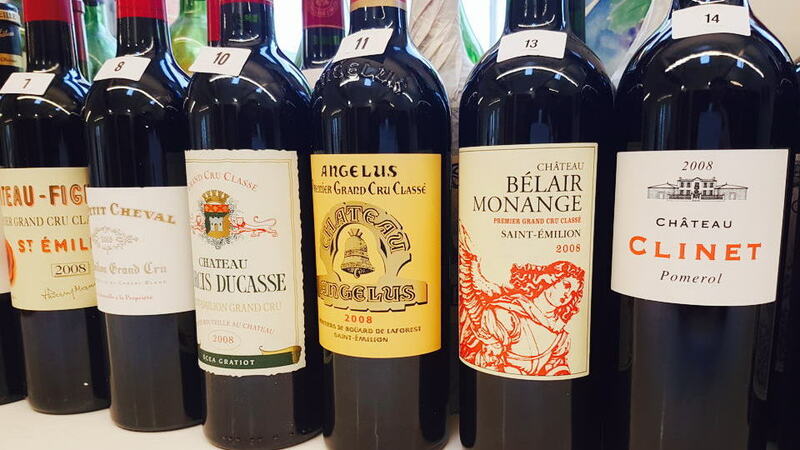 Picking on the Right Bank and in Pessac-Léognan began towards the end of the month, then after a short burst of rain there was a crucial 10 day stretch in mid-October when temperatures rose to be 5° Celsius above average. A majority of growers picked in the second half of October, a few Saint-Émilionais nudging into early November despite the weather turning autumnal. With bunches hanging on the vine for between 130 and 150 days, the berries could attain high degrees of complexity whilst the lack of heat spikes avoiding risk of sur-maturité. Fruit tended to be healthy with thick skins and extraction tended to be easier than the previous two vintages. In retrospect one might view 2008 as the final vintage where wines were released at very reasonable, some might say “cheap” prices. Remember that primeur in the spring of 2009 was just prior to the eventual withdrawal of import duties that unleashed demand from the Far East, especially China. 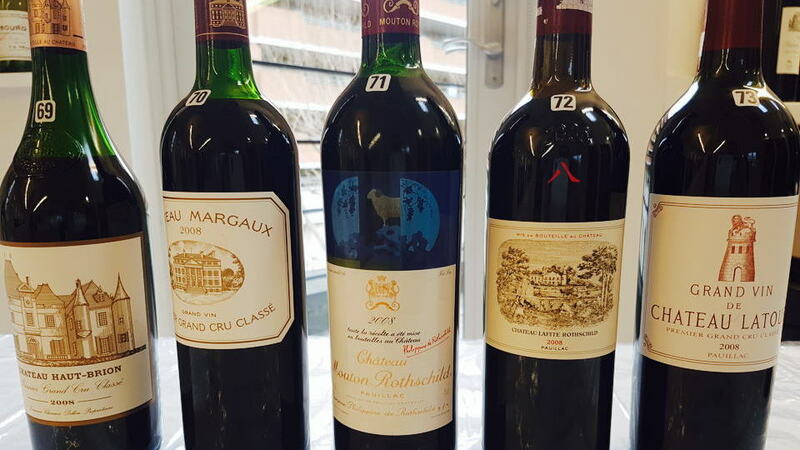 Coupled with initially tepid reception from the French press during the primeur campaign, a few châteaux released their first tranches at bargain prices, no doubt fearing Robert Parker would further dampen demand when he issued his own scores at the end of April. Except that the sage of Monkton came out far more positive than the trade expected and it caught everyone by surprise, not least the château owners themselves. Cue hastily revised prix de sortis (upwards of course) and second tranches that implied some miraculous improvement during the second-half of April. What a coincidence! Now at ten years old the Bordeaux 2008s could be described as a “useful” vintage. That adjective downplays my sentiment towards these wines but it neatly encapsulates the fact that they occupy what you might call a qualitative “upper middle ground” that renders them attractive to consumers. They lack the unalloyed brilliance of 2009 and 2010, which means prices tags have not been jacked up by speculative demand. Conversely the 2008s are much better than 2007 and 2011 thanks to that long hang time, which means they have plenty to offer in terms of complexity, freshness and fruit intensity. They are not structured behemoths à la 2010 that oblige the patience of a saint and yet they have sufficient backbone to merit medium-term cellaring and age with style. With a decade already on the clock, many of the top wines are drinkable but will mature and evolve over the next 10, 15 or at its peak, 20 years. Revisiting these wines both at the châteaux beforehand and then at BI Wines & Spirits, I came away generally pleased with the 2008s overall quality. 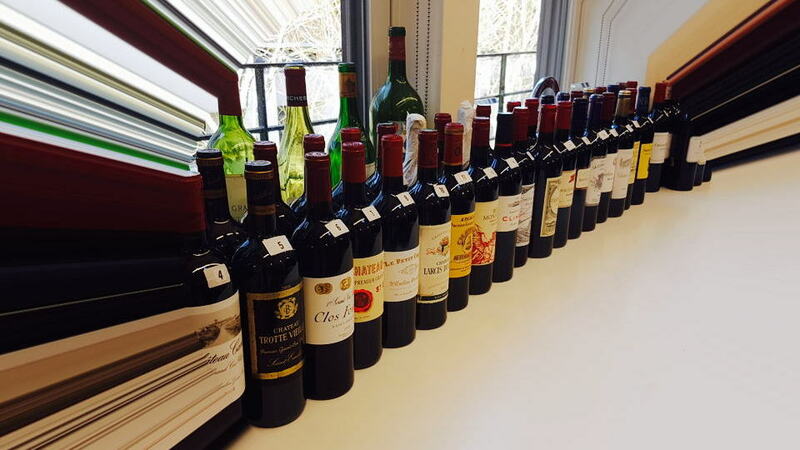 There are leitmotifs of cedar and tobacco on the nose; few exhibiting overt, precocious fruit-driven scents with the exception of say the 2008 Pavie. I quite liked this wine out of barrel but now, compared to its peers and more importantly, compared to what I consider a revised and improved approach from the Pavie winemaking team, this wine seems to ignore its exceptional terroir and expresses a premeditated rich style of wine incongruous to the vintage. Compare this to say the 2008 Le Tertre-Rôteboeuf where François Mitjavile crafted a more fruit-driven, atypically lush 2008 but it retains much more freshness and terroir expression. Of course, both 2008 Ausone and Cheval Blanc are seriously fine Saint-Émilions, but if you ask what I would spend my money on? It would be the fantastic 2008 Beauséjour Duffau-Lagarrosse. This is one of those properties that every now and again transcends the limitations of its terroir most famously in 1990. The 2008 is a stunner: concentrated, beautifully defined, very pure, a Saint-Émilion with a long drinking arc that will not cost as much as those at the very top of the hierarchy. Other tips would include Clos l’Eglise and Canon-la-Gaffelière that both offer good QPR. On the Left Bank, for sure the First Growth are generally excellent, with the exceptional of a curiously underwhelming 2008 Lafite-Rothschild (this despite the Chinese symbol engraving on the bottle that was supposed to gift luck!) I have attached a question mark to more score because I rated it far higher in three previous occasions. Overall, I would not assert that there is an enormous gap between the Premier Crus and the best Grand Cru Classé, unless you are more interested in speculation. For drinking, go no further than an outstanding 2008 Pichon Baron that punches at Premier Cru level: intense, beautifully balanced and much more terroir-driven than the wines a decade before. Jean-Hubert Delon crafted a typically structured but balanced Léoville Las-Cases, one that should be more approachable than either the 2009 and 2010 vintages. That said, its neighbour Léoville Poyferré might offer better value, treading the line between the opulence of the terroir, kept on a leash by the vagaries of the growing season. Scanning my scores, they do tend to congregate in the low nineties. This is a reflection of what was a fairly uniform vintage at this level, the growing season disallowing most (not all) properties to aspire to levels witnessed in 2009 or 2010, bunching them together both in qualitative and stylistic terms. Time and time again I found tobacco and graphite traits more conspicuous that intensive fruit. Then again, the 2008s have never been surfeit with fruit, from birth they were wines of structure and classicism. The difference is that by 2008, châteaux had deeper pockets and were more willing to be exacting in terms of selection. Optical sorting machines lay a couple of years ahead at this point and most relied on eagle-eyed sorters manning tables to weed out undesirable berries before they entered the vat. They did their job well. There we go: article number one for Vinous. Wines tasted in the morning on one side of the Atlantic, written up on the flight over to New York with my mouth still coated in tannin and completed on the other side of the Atlantic...just a day in the life.